An 18-count superseding indictment was unsealed last Thursday (Apr. 21, 2016) charging Amin Yu, 53, of Orlando, Florida, with acting as an illegal agent of a foreign government in the United States without prior notification to the Attorney General, conspiring to defraud the United States and to commit offenses against the United States, committing unlawful export information activities, smuggling goods from the United States, conspiring to and committing international money laundering and making false statements to the U.S. Citizenship and Immigration Services. According to the superseding indictment, from at least 2002 until approximately February 2014, Yu obtained systems and components for marine submersible vehicles from companies in the United States. She did so at the direction of co-conspirators working for Harbin Engineering University (HEU), which is a state-owned entity in the People’s Republic of China. Yu proceeded to illegally export the systems and components to China for use by her co-conspirators in the development of marine submersible vehicles – unmanned underwater vehicles, remotely operated vehicles and autonomous underwater vehicles – for HEU and other state-controlled entities. It is alleged that Yu illegally exported items by failing to file electronic export information as required by U.S. law and also by filing false electronic export information. In particular, Yu completed and caused the completion of export-related documents in which she significantly undervalued the items that she had exported and also provided false end-user information for those items. An indictment is merely an allegation and every defendant is presumed innocent unless, and until, proven guilty. If convicted, Yu faces a maximum penalty of 20 years in federal prison on each of the money laundering counts. She faces a maximum sentence of 10 years in prison for acting as an illegal agent of a foreign government and faces a maximum sentence of five years in prison on all other counts. 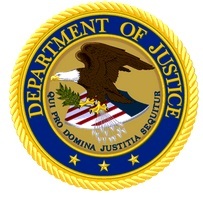 The indictment also notifies Yu that the United States intends to forfeit approximately $2,668,648.92, the alleged traceable proceeds of the offenses. This case was investigated by the FBI, U.S. Immigration and Customs Enforcement’s Homeland Security Investigations, the Internal Revenue Service-Criminal Investigation and the Naval Criminal Investigative Service. The case is being prosecuted by Assistant U.S. Attorney Daniel C. Irick of the Middle District of Florida and Trial Attorneys David C. Recker and Thea D. R. Kendler of the National Security Division’s Counterintelligence and Export Control Section.